Description:The Australian Government’s My Aged Care phone line and website can give you information and help you access aged care services to support you. Our work directly enables people to make positive choices with regard to their relationships and life situations, to strengthen relationships within their families and communities, and to manage conflict and change. The core of our work centres on family relationships. This involves working with individual family members, couples and family groups. We provide services which respect difference and are socially inclusive, recognising that individuals’ backgrounds, values, family circumstances and connections are very diverse. These services draw on expertise in counselling, mediation and dispute resolution, relationship education, and information and referral. More broadly, Relationships Australia (NSW) Limited works to strengthen community connections which sustain positive relationships. We also advance knowledge and professional practice through accredited education programs and research. Our endeavours are supported by strong collaboration within the national Relationships Australia network and with other partners. Area Served: Sydney Metro & Greater Western SydneyNot for profit organisation which provides skill development, supported employment and vocational training service which aims to assist people with disabilities achieve their vocational goals. Also has a training unit for pre-employment training, a day centre, accommodation, and disability support groups. Services run from a number of venues. Contact for further details on specific programs, services and groups. Supported accommodation for adults with moderate to low mild intellectual disability. Services Parramatta, Blacktown, Holroyd, Penrith, Blue Mountains & Hawkesbury. Area Served: Shellharbour (Helensburgh and Geroa)Respite service funded to provide respite (overnight centre based, in home, community access) for eligible carers of people with severe mental illness, intellectual disability or autism spectrum disorder. Priority for older carers 60+ and Aboriginal or Torres Strait Islander carers aged 45 +. Provides residential and day care services for adults with intellectual disabilities. Provides residential and programming services for people with intellectual disability who are residents at the Marsden Centre. MSTYP drama class for 12 young people aged 14 – 25 with an intellectual disability. The tutor Kylie Harrie is experienced with youth with an intellectual disability. The course will culminate in a short performance for family and friends at the year’s end. .
Daytrips or holidays of several days for adults (aged 16+) with an acquired brain injury, psychiatric or mild-moderate intellectual disabilities. Support of 1 carer for 4 participants. All meals, morning and afternoon teas, caravan park cabins. Pick up from Merrylands West, Penrith and Blue Mountains railway stations by request (or en route destination). Disability Access:The facilities include a 72 x 22 metre indoor arena, a 60 x 20 metre full-sized outdoor arena, a hay shed, machinery shed, canteen, tack room and a toilet block with disabled toilets.The Grounds are shared with another group, Nepean Pony Club, and the arenas are hired out to the public with fees going to Penrith City Council who own the Grounds.RDA-Nepean is currently operating on Saturdays with a vision of extending our days of operation. Our Riders’ have sessions of one hour duration every fortnight, with individual riding sessions for pre-school children of half an hour. Our centre was started at a property named “Glen Allan” at Regentville in March 1983 by Sheila Cunliffe. In 1989 the group moved to Orchard Hills where we are located today. Sailability began in Australia in 1991, and is a non-profit organisation dedicated to increasing sailing opportunities for everyone, regardless of age or ability. Sailability Australia now has branches in all states and caters for people with a wide range of disabilities and experience. Australian sailors with disability have competed both here and overseas in Hobie catamarans, Ynglings, 2.4mRs and Hansa dinghies. Sailability has support from state sporting authorities and works closely with a variety of disability organisations around Australia, ensuring that people with disabilities have the opportunity to sail in safety and experience adventures and freedom – building mobility, self confidence and pride through achievement. Description: Thorndale Foundation is a not for profit service provider for people with disability. We are client focussed and believe strongly in equality for everyone. Our multi purpose hub is new, accessible with all of the modern conveniences for everyday living and enjoyment. Thorndale Social offers social and recreational activities evenings and weekends, in-house and in the community. A monthly calendar of outings and events is available by contacting info@thorndale.com.au. Other types of supports also include: School Leavers Employment Support (SLES), Supported Employment, Support Co-ordination, Leisure, Living & Life Skills and Supported Accommodation. they meet exciting new people, and make great friends. Experience all the thrills and creative challenges of acting and live performance. 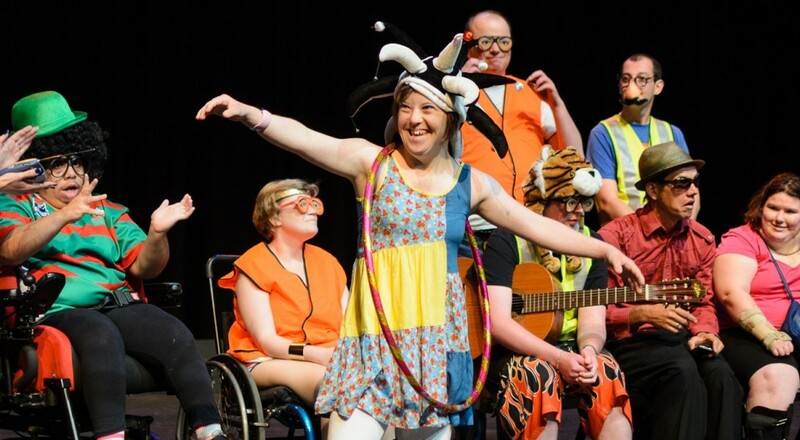 Each week our Access Ensemble participate in acting, music and movement exercises designed to stimulate the creative imagination and develop skills in personal and creative self expression. Across two semesters each ensemble moves towards developing a performance for public showing. We work with young people to develop their skills, character and leadership. NADO is a community-based charity that supports people with disabilities, their families and carers in Western Sydney, including the Hawkesbury, Blue Mountains, Penrith suburbs and surrounding areas. Northcott provides personalised and dynamic support, delivered by a committed team who will optimise and maximise support and services for every customer. Our experience and expertise gives confidence to our customers they are in good, trustworthy hands. Our commitment to innovation and pushing boundaries allows us to tackle any challenge currently creating barriers for our customers to reach their potential. Northcott’s diverse range of service offerings and strong community partnerships gives customers easy access to the supports they need or want through a single gateway from our many locations. Area Served: Easy Read information is information that is clear and easy to read and understand. Easy read was developed to support people with intellectual disability better understand written information. We have put together some useful links and resources that have information available in Easy Read. Description: Penrith is a Day Service located in the heart of Penrith, this site operates Monday to Friday from 8am to 4pm. Penrith is a service that offers individualised care for young people with both low and high support needs. Penrith is a smaller site with a very caring and positive group of staff who aim to provide the best possible care for our service users everyday. Description: Thorndale Foundation is a not for profit service provider for people with disability. We are client focussed and believe strongly in equality for everyone. Our multi purpose hub is new, accessible with all of the modern conveniences for everyday living. Types of supports include: School Leavers Employment Support (SLES), Supported Employment, Support Co-ordination, Leisure, Living & Life Skills, Supported Accommodation and Social & Recreation evening and weekend activities. Transport available. Description: Advocacy and Support for people with an intellectual disability and their families, living in Western Sydney, including residents of metro. Nepean Hospital is a teaching hospital of the University of Sydney for medical students and also provides nursing and allied health training for many other universities. Services include maternity, gynaecology, neonatal intensive care, emergency, diagnostics, paediatric, surgical, intensive care, coronary care, rehabilitation and mental health. Also on campus are a Tresillian Family Care Centre, Menopause Service, Nepean Cancer Care Centre, Diabetes Service and the Wentworth Centre for Drug and Alcohol Medicine. The Centre for Disability Studies operates a clinic in the Outpatients Department of Royal Rehab at Ryde. This clinic provides a medical and health consultant service for people with developmental and intellectual disabilities. Provides general dental services for the eligible population groups of Western Sydney, including people with an intellectual disability, children and pensioners. Medical clinic for adults with an intellectual disability. Some access to Occupational Therapy and Physiotherapy for assessments. Locates suitable positions in open employment for people with an intellectual disability. Also provides ongoing on-site support. Appointments can also be arranged at the Parramatta office on request if the Penrith Office is unsuitable. Places, trains and supports people with an intellectual disability in open employment. Jobsupport locates a job in the regular labour market that matches each client’s job preferences, carefully analyses the job to ensure success; provides public transport training if necessary; provides one-one on-site training to develop work skills to the standard agreed with the employer; provides maintenance follow up support to ensure continued success; targets only award or productivity based wages. Suitable for: People with an Intellectual Disability. Description: Thorndale Foundation is a not for profit service provider for people with a disability. We are customer focused and believe strongly inequality for everyone. Our multi purpose hub is new, accessible with all the modern conviences for everyday living and employment. Thorndale industries provide employment in packaging and assembly recycling lawn mowing and gardening maintenance . Other types of support also include: School Leavers Employment Support (SLES), Support Co-Ordination Leisure Living and Life Skills, Supported Accommodation and social and recreational evening and weekend activities. Description: For us, it’s all about working with you, as an individual, to provide the very best life experiences possible. The NDIS is making this even more accessible, and we’re here to foster real opportunities for you under the scheme. And with a client-to-staff ratio catering to your needs, you’ll enjoy strong relationships with our team. Supporting people to achieve their full potential. Involving families and significant oth­ ers in each person’s life. Involving people the community based on that person’s choices ana individual needs. Supporting genuine participation through partnerships, including those with Aboriginal and CALD communi ties. Description:In the 1950s parents of children with an intellectual disability were advised that the most appropriate place for their children was an institution. Not satisfied with this, Hazel Whiddon placed an advertisement in the Manly Daily seeking like minded mothers, and Sunnyfield started from the Sunnyfield School. Our history has been full of achievements for Sunnyfield and our clients. We continue to make improvements in the quality of services we offer and lead the sector in innovative options for people with a disability. Intellectual Disability Rights Service (IDRS) is a community legal centre in NSW. It offers legal advice and information for people with an intellectual disability or others acting on their behalf within NSW. Initial advice is provided over the phone by appointment. IDRS will help anyone in NSW of any age with an intellectual disability exercise their rights under the law. Provides individual support to help people with intellectual disabilities to become self advocates. The organisation is run by and for people with intellectual disability. Location:Ground Floor, 295 High St, Penrith NSW 2750. Location: Office located at Unit 2, 26 Power Road, Seven Hills, 2147. Hours: 9.00am – 4.00pm, Monday – Thursday Office is only attended 9am – 2pm on Tuesday and Thursday. Description: Provides community based groups, referral and information service, telephone support for families/carers of children with Learning Difficulties (LD) and associated disorders such as ADHD and Aspergers Syndrome. Description: Provides assessment, special programs and referral for children with developmental delay. Description: Organisation which includes adults, parents, teachertoggle]s and other professionals who work together to promote awareness and understanding of children and adults with learning and/or attention disabilities. Provides support, information and referral to parents of children with a learning difficulty via the telephone HelpLine and holds regular seminars. Can provide information about local support groups.